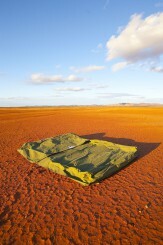 Australia has some of the world’s most stunning terrain. Locals and visitors alike make their way out into the bush to explore and be blown away by the raw scale and visceral power of nature. The swag is much more than a simple piece of outdoors kit. It is a piece of Australian history that allows campers and travellers to submerge themselves deeply within Australian culture and experience the land in the same way that countless people did before them. But what about those adventurers that aren’t lone wolves and would like to travel with their pack? 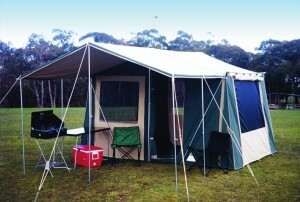 There is a range of double swags for sale which can accommodate for two people comfortably. These are perfect for those people that like to travel with a companion. It’s safer and often more fun to travel with a companion. 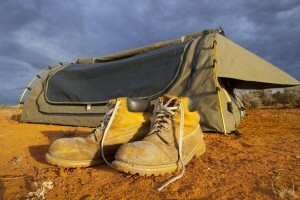 Here’s what you can expect when you buy double swag from Southern Cross Canvas Products. Some people have reservations about swags because they are less spacious than tents. 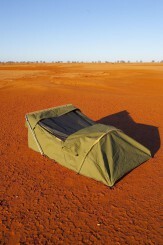 While this is absolutely the case, many people are shocked at just how comfortable and spacious our double swags feel. This is because they have been perfectly designed and manufactured to get the best possible feel. There is absolutely enough space for two people to comfortably fit within our double swags and sleep comfortably so that they are refreshed and regenerated for the day ahead. There are also a range of options available. We offer dome, enclosed and flat models. This means that the perfect double swag Australia has to offer is waiting for you right here and can fit to your needs and preferences. 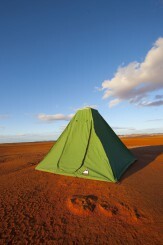 The dome option creates an even more spacious feel while the flat double swag offers a closer fit. There is also the enclosed option which offers the best of both worlds. There really is something for everyone here and our expert staff are more than happy to explain the pros and cons of each model and where they can be used most effectively. A retailer could offer the most spectacular designs on the planet and the strongest claims to superb quality but the material itself needs to do the talking. We only work with the finest Australian canvas and this – combined with spectacular craftsmanship learned over more than 35 years – reflects in the final product. Our customers are regularly stunned at the quality we offer and they leave positive feedback that you can freely browse through. Ours is a family business and the methods and sourcing have been developed through two generations of ownership. We can offer the best swags on the market but we don’t rest on our laurels; we are constantly aiming to do better. 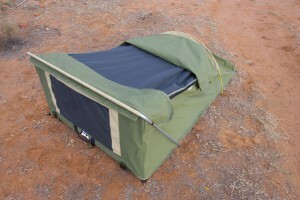 Double swags have a larger surface area and with two people inside the potential for general wear and tear is greater. But our products are of such a high quality that any signs of potential damage would appear slowly – giving you the time to have it repaired and as good as new. We are experts in maintenance but we very rarely need to perform it because our products are so tough! If you’re thinking of purchasing a double swag don’t hesitate: get in touch with us today by either phoning us or checking out our products on our website.